Modern-day museums abound with ornate medieval and renaissance woven tapestries, which have been meticulously restored throughout the centuries. Although weaving can nowadays be described as a “dying art,” history tells a much different story about this trade and the abilities of 16th Century artisans. These masterful artisans could repair a woven textile such that the repair was virtually “invisible” to the untrained eye. Two papers have posited and supported the hypothesis that the 1988 C-14 dating of the Shroud of Turin was skewed due to such an “invisible” 16th Century patch that had been added to the cloth for repair purposes. (1, 2) However, even with a plethora of compelling data, it is difficult for many to believe that, indeed, this type of workmanship was possible or desirable during this earlier time period. In 2000, archaeologist William Meacham commented that, ". . . it is highly questionable that any medieval restorer would have had the skill and/or taken the time to do a re-weaving that would not be immediately obvious to a textile expert.” (3) The purpose of this paper is to: 1) characterize the state of the weaving art during the time period of the hypothesized C-14 sample area patch; 2) describe the crucial role and passions for tapestries of Margaret of Austria (House of Savoy) and her nephew/ward Charles V, Holy Roman Emperor, that would have mandated an expert restoration to the Shroud following the removal of the large corner pieces; and, 3) illustrate the capabilities of medieval/renaissance weavers to invisibly mend a woven textile such as the Shroud. In Europe, weaving took on a new focus as its own trade with the formation of England’s oldest Guild, the “Weavers Guild,” during the 12th Century. This same type of organizational structure also formed in France in 1272 and became known as the “Company of Embroiders.” Not only did these Guilds provide laws governing their trades, but they also established stringent training, or apprenticeship guidelines, along with a system for promoting an apprentice to the prestigious rank of “Master Weaver.” In fact, the term “masterpiece” derived from the cornerstone work performed by the apprentice in front of the Guild judges who were determining whether or not the workmanship qualified the apprentice as a Master of his trade (4). Born to Maximilian I in 1480, Margaret of Austria became the Hapsburg princess and Regent of the Netherlands. After a short-lived marriage in 1497 to Infante Juan of Spain, son of Ferdinand and Isabella, Margaret wed Philibert II of Savoy in 1501. Philibert died a short time later in 1504 leaving Margaret the custodian of the Savoy collection of tapestries and, most importantly, the revered relic they believed to be the actual burial cloth of Christ, which is now known as the Shroud of Turin. Nothing depicts this statement more accurately than touring the current-day Savoy Palace in Turin. One cannot help but describe the magnificent tapestries seen throughout the Palace as "opulent," "lavish," and "ornate." Possible corroborating evidence that Charles V had placed a considerable importance on making sure the Catholic Church was recognized as having received a piece of the Shroud, can be found in a portrait of the Shroud commissioned by Pope Pius V in 1571 that shows one of the missing corner pieces (Figures 1 and 2). The fact that this particular detail is included in the rendering, while the more robust and obvious burn marks from the 1532 fire are left out, is undoubtedly an intentional action. 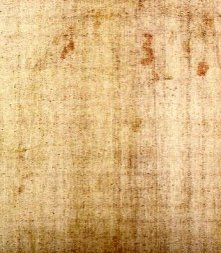 No other well-known Shroud painting commissioned between 1510 and 1898 portrays either of the two missing corner panels. (12) The specific relevance of this observation is that the 1571 Shroud replica was created for Don Juan of Austria, the great nephew of Margaret of Austria and illegitimate son of Charles V. If, as posited, Charles V had intended the Shroud “donation” to the Church to be an assertion of the Catholic Church’s primary position within Christianity, then it stands to reason the Pope would not only want to bolster this assertion, but also provide evidence to Don Juan that his great aunt’s bequeath had been carried out as intended. Figure 1: 1571 Shroud replica commissioned by Pope Pius V for Don Juan of Austria, great nephew of Margaret of Austria and son of Charles V. Note the depiction of the missing corner section on the lower left side. (reprinted with permission from Shroud Spectrum International and Luigi Fossati). Figure 2: 10x Close-up of the missing corner panel in Figure 1. Along with Charles’ motive and interest to follow through on his aunt’s bequeath to the church, he would have had a similar desire to assure the continued beauty and integrity of the Shroud after the samples were removed. This desire to repair the Shroud to its original aesthetic quality was unquestionably within the reach of Charles and his court weavers at the time. Campbell has noted that, "All of the major European courts had teams of skilled weavers and embroiderers who were employed in the repair of high-quality textiles. . . Much information on the repair of tapestries and textiles in the collections of the Dukes of Burgundy is published in volumes of documents published in brief in the late nineteenth and early twentieth century (for bibliography see entries in the Grove Dictionary of Art). Similar documentation for the French royal collection has been published by Laborde, and for the Habsburg collection by Michelant. (13). But was such an undetectable repair, as hypothesized occurred in the corner of the Shroud, within the capabilities of the 16th Century master weavers as speculated? In order to illustrate the capabilities of medieval/renaissance weavers to invisibly mend a woven textile such as a Shroud, it is necessary to consult an expert in tapestries. Towards this end, the authors contacted Robert Buden, President of Tapestries & Treasures. Tapestries & Treasures (www.tapestries4less.com) produces, imports, exports, and distributes high-quality, historical tapestries to clients throughout the world, including 16th Century pieces. The following is an original contribution by Mr. Buden for inclusion in this paper. “The questions posed to me were: Is there such a thing as invisible weaving? Had weavers mastered repair techniques by the 16th Century? If the repair is invisible, then how do you know it is there? Next it was explained to me that these questions were asked in accordance to the Shroud of Turin and its repairs. I come from a textile background, specifically tapestries. Not only the sale of antique tapestries, but also in creating new hand-woven tapestries and the cleaning, repair and restoration of tapestries. Today hand woven tapestries are being produced in many countries around the world. France, Romania and China all have mills that produce fine European theme tapestries on a low warp loom. The weaving technique is exactly the same as the one used by the European weavers centuries ago. Presently in France and the US there are skilled weavers who have been trained in tapestry repair. Tapestry repair is costly, for it is time consuming. It is easier for a weaver to build a new piece than to repair an old. Let’s assume that there is a hole in a tapestry fabric and it is in need of repair. First the foundation and warp yarns have to be added. The weaver identifies the warp yarns fiber content wool, cotton, linen, silk, or a blend of several, and then procures the same fibers. Next the warp yarns are spun or twisted to match the thickness of the original warp yarns. Then slowly the foundation yarns are woven back into place, and are spaced exactly as the originals. The design comes from the colored weft warns. Again fiber content is determined and yarns blended. A dye specialist blends colors and dyes the weft fill yarns to match the faded original yarns. The new replacement yarn is worked over and under the warp threads and blended with the original weft yarns to build and replace the area. Many colored yarns are used to complete the once missing image. Today there are both excellent and fair tapestry repairs being performed. A fair repair may be due to a weavers experience or quite simply due to the budget constraints. An excellent repair will be perfect in that, with the eyes or hand, you can not detect where the original ends and the repair began. Again this invisible repair is time consuming and therefore expensive, but it is being performed daily in many restoration houses. Depending on the significance of the piece, an invisible repair may not be warranted due to the ultimate potential value of the piece. I can take you to repair houses on several continents where you can see this most patient and skilled weaving repair being performed. Several years ago I caught the sleeve of my suit jacket on a shelf end in a friend’s warehouse. A terrible ragged rip occurred. The suit was new, rather expensive and unweareable unless repaired. I brought the jacket to an alteration shop that employed a repair person who had mastered the art of ‘French weaving’ or ‘invisible mending’. Several weeks later, when I picked it up, I could not tell if it was the left or right arm that had received the work - expensive, but worth it to me. Is there such thing as an ‘invisible repair’? Yes - I have seen it, or more appropriately, not seen it, in several types of textiles. But was this skill known to weavers in the 16th Century? 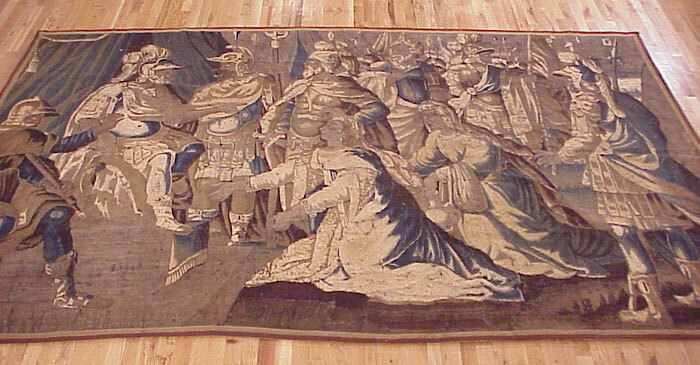 Tapestries were a prized possession of the wealthy by the 16th Century. Tapestry mills were producing woven art in France, Flanders, Spain, Italy, Germany, Austria, and England by the 1500’s. The art of tapestry weaving was several centuries older, and with the advent of the Renaissance movement, the tapestry had been perfected. Master weavers were skilled craftsman and were held in high regard. Weavers then, as today, could also perform repairs. Although medieval tapestries were losing popularity during and after the Renaissance period due to new designs were in vogue at the time, many earlier medieval tapestries were regularly repaired. As pointed out earlier, some were fair, some were perfect! Did weavers of the 16th Century possess the skill to ‘invisibly repair’ textiles? Most definitely. Would the restoration of a Holy Relic like the Shroud of Turin be assigned to a novice or the finest craftsmen in the land? I think the latter. Was budget a concern for the Church or its noble owner at the time? Most likely not. Is it plausible that the Shroud of Turin received the best care to insure it would last many more years as an icon to faithful and that fibers extracted by scientists for testing were removed from repaired areas and not from the original fabric? Retesting of additional areas will confirm this. Attached (Figures 3 and 4) are two similar allegorical Aubusson tapestries from the 1600’s, both of which I have had in my possession. I say similar because one is in poor condition (Figure 3), with fair repairs and major sections of the border missing - the second (Figure 4) is in excellent condition and has received superior repairs. 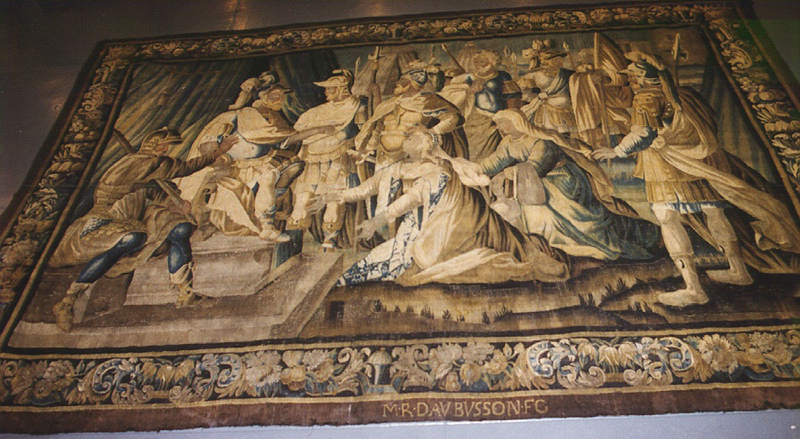 Figure 3: Aubusson tapestry from the 1600’s with only “fair” restoration. 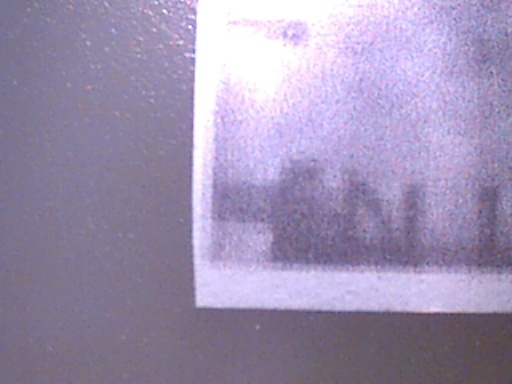 Note the washed out appearance and lack of fine detail compared with Figure 4. Figure 4: The same cartoon as illustrated in Figure 3 with “exceptional” restoration. Although repairs definitely took place to restore the tapestry, they are not detectable with the naked eye. If you wish to see first hand, or not see, repair work done to tapestries - I suggest you visit a major museum and study the medieval tapestries to find the repairs. If you are unable to locate any such repairs, arrange to meet with the textile curator. While waiting, study the quality of the 16th Century tapestries, they are amazingly tight and fine. The curator may be able to point out where repairs have been performed on the medieval tapestries. Whether you can spot them or not may depend on the keenness of your eye and your level of knowledge in textile restoration. 2. Benford, M. Sue and Marino, Joseph G.. Textile Evidence Supports Skewed Radiocarbon Date of Shroud of Turin, www.shroud.com, 2002. 3. Meacham, William. Thoughts on the Shroud 14C Debate. In The Turin Shroud: past, present and future. Proceedings of International Scientific Symposium 2-5 March 2000 held in Turin, Italy. Turin: Effata Editrice, 2000, 441-454; 450. 6. Campbell, Thomas P. Tapestry in the Renaissance: Art and Magnificence. New Haven and London: Yale University Press, 2002; 30. 10. Marino and Benford, 2000. 11. The Columbia Encyclopedia, Sixth Edition, 2001. 12. Fossati, Luigi. Copies of the Holy Shroud. Shroud Spectrum International, No. 12, Sept. 1984; 7-23. 13. Benford and Marino, 2002. This is how the face appears on the Shroud. Second face image recently discovered with image analysis technology. This a a computer enhanced view. It matches the face on the front. The images are doubly-superficial meaning that nothing soaked through.